I love Hungarian goulash! Goulash, the traditional dish of Hungary, refers to a beef stew cooked with the sweet powdered red pepper. At least, that’s how it’s now known. This spice, paprika, did not enter Hungarian cuisine until the 16th century. Goulash, on the other hand, was prepared by Hungarian shepherds as far back as the 9th century (these facts come from foodtimeline.org). Goulash is a great dish to prepare while going about other business, such as herding sheep – or mowing the lawn. It takes only some 20 minutes to get the brew going. It can then be left on its own to stew for hours. Goulash can be either soupy or saucy. In Slovakia, the word guláš or gulášová polievka refers to the goulash soup made with potatoes and eaten with a spoon. Hungarian goulash (maďarský guláš), on the other hand, is the name for a thick stew eaten as the main course with a fork and knife, and served with a helping of the steamed dumpling. What a great combination! You cut off little pieces of this dumpling and use them to soak up the sauce – and “lick-clean” the plate. Hungarian goulash is a spicy dish. In fact, it is one of only two spicy dishes common in Slovakia I can think off, with the other one being something called Detvianska nátura (recipe to be added later). It is often prepared with canned pepper and tomato combo called lečo. However, this is done just out of convenience, and you can just as easily prepare it using fresh veggies. In making this dish, I followed a recipe posted on a Slovak website. This resulted in a very authentic taste. But there are many variations on this recipe. For few others options, check out Sandy’s recipe, recipe from Hungary Guide or another one from Budapest Tourist Guide. With all this said, let’s get cooking! Here is what you’ll need, but once again, I forgot a crucial item: cayenne pepper. Hungarian goulash is a spicy dish and this is a must! Heat up oil (olej) in a large frying pan. Then slowly add the meat (mäso). The oil may splatter so be careful. Brown on all sides. This will take 5 to 10 minutes. Meat is browned before cooking to create a hard shell to keep the juices in. I am not sure why meat is also browned before stewing. Perhaps it helps keep the chunks together. Next remove the meat, leaving behind the brewing sauce. In the next step, you will add various seasonings, including garlic (cesnak). One trick I learned from my grandma is that there is no need to peel garlic. Simply take an unpeeled clove, and mince it using a food grater. The hard shell will stay behind! Now add your chopped up veggies (zelenina) and brown them for a bit. Don’t forget to add the spices: minced garlic, caraway (rasca, ground is better, but I used whole), salt (soľ), ground black pepper (mleté čierne korenie), paprika (Hungarian dish without paprika? Impossible!) and a spoonful of tomato paste (paradajkový pretlak). Then the final spice: hot pepper (štiplavá paprika). When adding red pepper, remember that the concentration will increase as the water content evaporates. Put the meat back in and add enough water (voda) to cover it. Feel free to move everything to a bigger pot if you need to, as I did. Reduce the heat once the water starts to boil. Cover and wait. And wait. It will take about 3 hours for the meat to soften. I spent this time watching Julie & Julia. Great movie, just to bad Julia Powell decided to write her follow up book outlining (in gory detail according to reviews on Amazon) her various affairs and infidelities. Quite a different image of her marriage than the movie portrayed. In the last hour or so, I moved the lid slightly to a side to allow the steam escape. This helped thicken the sauce. The resulting sauce should be pretty thick – about one second gap thick. This means that if you run a wooden spoon through it, it will take at least a second for the gap to close up. Just as the sauce is starting to get ready and the meat is nice and tender, add some marjoram (majorám). Serve on a dinner plate with 3 or 4 slices of the steamed dumpling (knedla). It was delicious! I offered a plate to my roommate and he pretty much licked the plate clean. This dish is almost always topped with a dried cayenne pepper, known in Slovak as baraní roh, meaning ram’s horn. Not having any, I chopped up some onions. Note, this photo was taken the following day (the first batch was eaten at 1am) and the sauce thickened overnight. So I added water to thin it, but slightly too much. Hence the slightly watery look to the sauce. Enjoy and dobrú chuť! 62 comments - What do you think? Do you like Hungarian Goulash? How does your recipe differ? Let me know and share with others. Thanks! Somewhat similar to mine with the exception of garlic, tomato paste and marjoram and the addition of a few bay leaves, a whole tomato and sour cream added at the end of cooking. I usually serve it up with Nokedli or egg noodles. I use as much meat that much onion, that I first brown and also instead of adding water, I add some red wine. You got me hungry for gulas. I guess on Monday, when it’s supposed to cool outside I have to cook some gulas. That’s exactly how we make it. Finally chopped onion,as much as meat. The reason is that onion cooked over long hours will basically dissolve completely so will make the sauce thick. Adding not much water but for sure red wine or good quality beer. No caraway. Traditionally, Slovak did not use Cayenne pepper but chilli peppers or any hot peppers grown there. Barb, click on the blue “steamed dumplings” hyperlink in the third paragraph for the recipe. Also, just before that is a link to the goulash soup, which may be more similar to what you and your mom used to make. Excellent! Let me know how much she likes it! 🙂 And yes, I completely agree about the printable recipes. I would like to put together downloadable pdf recipe cards or a cookbook, but all this requires time which I don’t currently have. But keep checking. PS: A little grammar lesson. The plural of knedľa is knedle. I was going to write that this because the noun is feminine (which it is) and that the -y/-i ending would imply a masculine gender, but I realized that this is a complete nonsense. The plural of woman, žena is ženy. Hence, once again, hat down to any foreign language speaker who masters all the intricacies of Slovak (or any other Slavic language). knedľa is feminine, but I think we use vzor ulica, as c is “soft”consonant(I have no clue if the word soft consonant makes even sense in English) as ľ is. So plural of knedľa-knedle, according to ulica-ulice. So I don’t think in this case, there is any special rule in grammar. I like Hungarian Goulash, making it as I go, not following a specific recipe. Now, as we are Slovaks, does anybody make “barani guláš” – sheep goulash, I made it just last night, as I love it a lot. Pretty much the same approach, though you use a bit more of green peppers and tomatoes. Some folks don’t like a sheep meat taste, especially in goulash, I love it!! Sheep/lamb is inseparable part Slovak cuisine. Miro, it’s strange, I am slovak, but never eaten lamb there. Could it be that I am from western part of Slovakia? I haven’t seen any sheep there. Lucia, I don’t know, before I left for the US, I lived in Bratislava for many years, (school, University, work, etc. ), but I grew up in a mid Slovakia (Zvolen, etc.) There was a big pasture right behind our house, and every year sheep grazers set up “salas” just some 500 yards from our house. Of course it has changed later on, and the whole pasture was taken over and a big housing subdivision was built on it, no more sheep. Miro, so you lived in the village and behind it were pastures for sheep, or was it just behind of town of Zvolen? I have to admit during my younger years, the winter was the only season I visited central, or northern Slovakia(ski vacation with my family during my spring break)so that’s why I didn’t see much of what you are mentioning. Maybe I should go to those parts of Slovakia during this summer when I go visit my family. Lubos,mutton is old sheep isn’t it? I can imagine it being not very tasty. And heard that song. I am not very big fan of it. Lucia, I lived in Zvolen at time (1951 through 1965) when our house was “at the end” of town, and our backyard was an open space, as I said it has changed later on and a huge subdivision was built on it. Things has changed a lot. Lubos, old mutton can be “not so tasty” I prefer lamb, however, the biggest problem with “taste” is when folks don’t try to cut out most of the fat (that’s where bad taste comes from), and most importantly don’t eat it fresh. Fresh stew is good even when mutton is used but it’s not so good the next day, and longer it sits in mutton fat the worse it gets. What can I say, I like it but only when done the right way. I had some really bad mutton stews, no buts about it! Lucia & Miro, yes there is loads of sheep in Slovakia, esp Orava, Liptov etc. But I agree with Lucia that not many slovaks have experience with eating lamb. Even me. My first lamb dish was lamb donner kebab in London :))). The sheep is more kept for cheese and wool in Slovakia then meat. But maybe I am wrong and there are actually parts of country where you can experience some lovely lamb dishes. I personally could not stand the smell of it, untill I had a beautiful lamb stew after a hike in english Lake district. Mmmm. give me lamb any day. That’s a thing, we all have a different experiences. I just came back from Slovakia, my son while still working has a place and a spectacular “farm” he raises goats and sheep. The sheep are a breed that are not used for sheering (wool stuff) and not used for a milking and making a cheese, they will be sold for meat and breading. 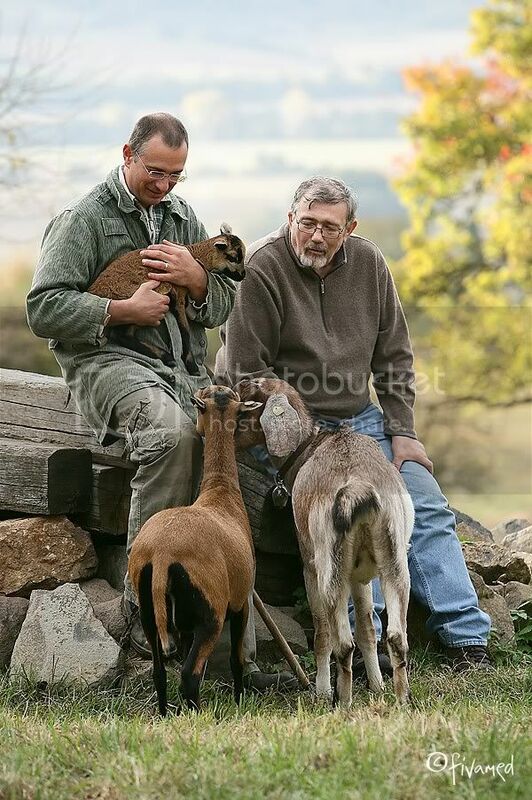 However goats are different things, they milk them and make a spectacular goat cheese. Eat them anyway you want! My grand daughter made this for me ,it was great. I would like to have more of the same. Hungarian ghoulash with a bit of west indian/caribbean fresh herbs and spices…delicious!!! Great Recipe, i am currently living in Slovakia and i am in love with food here, now i am trying to learn recipes so i can show to my friends when i go back to my country. Thanks Ceko, where are you from originally? Hello Ceko, just a curiosity, but are you from Bulgaria by any chance? I am from Mexico, i love this place. Its hard to say when i want to go back, there is this great place called Karmina in donwntown BA which is the place i usually go for lunch, i love the Slovak food. My name is Sergio, but in Mexico Sheko is short for Sergio, and i changed it for Slovakia Čeko. I learned to cook goulash from my mom but she is an expert in pivni gulas. We add beer instead of water…also we dredge the beef in seasoned flour and then brown it. instead of water we add beer and beef consomme. then cook it for 3 hours and it’s awesome. I’ve heard of people adding red wine instead of water, but in my opinion if you’re adding red peppers and tomotoes, water is probably fine as there is enough flavor from the veggies. That sounds awesome! I’ll definitely try that next time. Any recommendation on which beer to use? Looks delicious. I can’t wait to try this one out. Thanks so much for all your hard work. I became familiar with Goulash from my wife and her family. They are from Yugoslavia and make it differently, but still very good. Lots of sliced onion, slightly browned, and they add the sweet Hungarian paprika and let it cook for a minute or two. Add the beef and stir into the onion mixture and then add water or broth, just enough to cover. Cook slowly until meat is very tender. Serve with small drop dumplings made with flour, milk, parsley, and baking powder. Drop small spoon fulls into boiling water and cook for about 10 minutes and they all float to the top of the water. and baking powder. Drop small spoon fulls into boiling water and cook for about 10 minutes and they all float to the top of the water. I just love Gulas. My daughter-in-law is Czech and we make it like this . Ingreds: 500gms beef meat – skirt or shin gives lovely flavour , 4 onions peeled chopped, half garlic bulb peeled and chopped, 5cm piece of spicy sausage or small lump of bacon or ham chopped, oil for browning, 1 tspn caraway seeds, 3tblespn. of hungarian paprika, 1 red pointy sweet pepper, handful of cherry tomatoes, batons of a largish carrot, handful of marjorum leaves, 1 to 2 stock cubes, 1 and half pints of water. Cook on stove using heavy pot. Add paprika and coat the meat mix. DO NOT OVERCOOK the paprika it will turn BITTER. Stir well and leave to simmer on very low heat until meatis soft. Meanwhile roast your pepper and tomatoes in the oven in a little oil until charred. Tip the toms. into the gulas, chop up the pepper and discard the seeds and throw that in as well. I make English dumplings as I dont have much success with the Czech versions. DO NOT LET THE POT BOIL DRY ADD MORE WATER IF YOU NEED IT. YOU DONT WANT TO BURN THE BOTTOM! Adjust your seasonings, add a little fresh marjorum (take care if you use dried – just a pinch) and serve. Left overs improve and the gulas is always better on day 2 or even 3. Enjoy!!! Can one buy cayene pepper in Slovakia? I live in South Africa and learned about the benifits of this spice.And u can buy it here anywhere. I am actually looking for some satisfying and simple batch food that I can prepare for a bunch of people coming to visit from Moravia. I thought of goulash as it is nice and warming after journey and a cold day, but it takes too long for me to prepare on a weekday evening. But this sounds and looks so great, I will save it for weekend! Can’t wait. I am more used to the ‘soup’ version but prefer the stew one. Thanks a lot for sharing. We will be cooking the main christmas food using your recipes. We tried the Maďarský Guláš recipe just a couple months ago and it was delicious. Delicious receipe, we really enjoy it! Thank you very much for all those amazing ideas. Great food for the week-end, we left it all afternoon to cook, just serve with some fresh bread.. The Meat chunks can be pounded a bit and dried and tossed in a little seasoned flour before everything else. The reason why you brown the meat first is that it carmelizes the sugars in the blood which ultimately gives a lot of flavor to the broth. You strain off any excess oil and add a good pour of some Frankovka modrá or any dry Slovak wine would be nice (as accomodation as well). Nice recipe. I’ve seen a dollop of sour cream added or potato (in the goulash)& other variations. I would use low sodium beef stock instead of water and I would toast and gring the caraway seed for a bit more depth. I would also finish it with a chunk of butter. Be careful not to burn the smaller grated garlic by adding it too early or placing it into a pan that is too hot or dry(low oil/fat content). Don’t forget the salt & pepper. Not too much salt if your using (even low sodium) beef stock. Julia Child was always nice and gracious to her fans. She showed distain for shallow oportunists like Powell. Looks really good! I’m going to try it! Also the dumplings! Yumm. Made this dish this evening. Turned out wonderful with the steamed dumplings. Everyone thought this was a keeper. The reason for browning is for the flavor that browned meat imparts. Putting raw meat directly in stews, chilis, etc. gives the stew a tinny flavor. You get a nice depth when you brown meat first. My mother was the first child born in the USA, Her parents were from Budapest, They made gulash with pork, chicken or beef. I make it only with pork; I use a large pork shoulder cut up and browned in bacon grease with one large onion. there are no other spices just paprika and salt. when tender add paprika — I just go according to color, then sour cream. serve over dumplings made by spooning teaspoons of a soft dough into boiling water. Basmati rice is also good or over egg noodles. some times I’ll cut the paprika in half, add mushrooms, a burnt flour rue to thicken it, season to taste and serve it over rice. My Mother used to make this for my Father. She always said we kids would never like it, til I first had it for the first time and now, after tripping over this site, guess who’s making this for her kids? This girl!!!!!!! since there’s so much of comments already i’m pretty sure that already someone said that this is far from a real goulash. always- but always start with browning the onion. the traditional ratio of onion vs mean should be 1:1.
once the onion browed in lard starts to brown- put the pan/bowl off fire and mix in red paprika. red paprika dissolves perfectly in the hot lard but if you keep the bowl on fire it will burn and gulash will be bitter. after you’ve mixed those two up only then stir in the meat and only then return it to fire. Hoping I don’t sound like a goob, but when listing your spices, you started with a tablespoon of tomato paste, then just rattled off the spices without individual measurements. I assumed that it was a tablespoon for everything, although a tablespoon of salt seemed excessive. I hope I was right as it is simmering as I type this. Maybe, “And a tablespoon of each of the following…” would have been a little clearer. But I must say, it smells divine!! I made this last week and its fantastic!!! A little on the hot side so next time I will cut down the red pepper ALOT!!! (My company didnt care for the “heat”so much. But me myself, I loved it! Im half Hungarian so the heat was fine! Will make this again. Its already in my cookbook!!!! Recommended! I just made a big pot of the goulash. I can’t begin to tell you how delicious it is. My grandmother was from Pietsany and was a great cook. I haven’t had food this good since she passed away. Thank you. I would love to hear from anyone who knows anything about Pietsany. Are you Hungarian? My grandmother(fathers side) was from Budapest. I have documents from my grandfather Gaspar Haban that state he was born in Postyen but he always told me he was a Slovak. I was born in and I live in America. Yes, the spa town Piešťany. I can’t thank you enough for the link. This is the birthplace of my grandmother Alsbeta Cerni and I know nothing about it. This might sound a bit weird, but when it comes to paprika – there is a choice in shops between sweet and hot paprika powder, which one should I use? I use the sweet kind, and add cayenne pepper to the dish if needed. but promised them I will cook again for them when they want.I just got a call from a Dr. to whom I had given the goulash I had cooked at home 10 years ago !! he wanted the recipe . But then you get it from google 🙂 now.Every time I visit my daughter in USA she will ask me to prepare it and will invite all her friends. Ever since I had some gulash at that over-priced Polish restaurant in Los Angeles, I’ve been hankering for my mother’s delectable home-made, Slovakian gulash stews!! Thanks for the recipe here, Lubos !! Although I will add a tablespoon of flour to the ‘smiazenka’ of beef broth, veggies, and spices. I’m making a small batch just for myself: 1 lbs. of meat so that I don’t have to freeze a lot of leftovers. My mama made this with individual dumplings. I make it according to an Old World Hungarian Goulash recipe, with the meat cubed and initially braised with Gammon bacon, then placed aside. Other things maybe to note: use red wine vinegar, cooking off the acidic component before adding the larger amount of ingredients. Caraway is a must! I crush mine in a mortar and pestle just enough to bruise and release the natural flavor. The onions are cut in larger slices, so that they do not completely dissolve. Also when done all the cooking I place the goulash in a huge crock pot to simmer for hours to really meld the ingredients and soften the meat. If you don’t have dumplings just use broad egg noodles. This meal is great at parties or office functions. You will be revered as the office chef guru after you bring this in! i used this receipe, added a can off diced tomatoes, and cooked it in a slow cooker…. and the result….. very yummy. Also great to serve with rice.